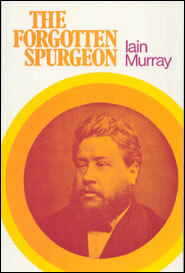 In his excellent book, The Forgotten Spurgeon, Iain Murray focuses on an aspect of Spurgeon’s life that has been overlooked in recent times: Spurgeon’s faithful commitment to Bible doctrine, primarily the doctrines of free grace and God’s sovereignty in salvation. These theological commitments, however, often put Spurgeon in the midst of controversy. Toward the latter half of the book, Murray gives us four valuable lessons we can learn from Spurgeon’s approach to controversy. 1. First, there is evident in all the major controversies in which he was involved a pastoral concern for the spiritual welfare of men and women. Thus in the first great controversy, while accepting the Christian standing of some who could not receive the doctrines of free grace, Spurgeon saw how a general toleration of errors respecting those doctrines injured the prosperity of the Church and the progress of the gospel (197). 2. Secondly, Spurgeon engaged in controversy with great faith in God, and with a sense of his duty to do God’s will whatever the outcome (202). 3. Thirdly, the various controversies of Spurgeon’s life are unified when we see them as parts of his total commitment to the Word of God. This perhaps is his greatest legacy…A zeal which is confined to certain aspects of scriptural teaching is the consequence of an unworthy view of the Word of God, and from such an inconsistency Spurgeon continually sought to escape (203). 4. Lastly, Spurgeon reminds us that piety and devotion to Christ is not a preferable alternative to controversy, but rather it should-when circumstances demand it-lead to the second. He was careful to maintain that order. The minister who makes controversy his starting point will soon have a blighted ministry and spirituality will wither away. But controversy which is entered into out of love for god and reverence for His Name, will wrap a man’s spirit in peace and joy even when he is fighting in the thickest of battles (205). In the next few days we will hear from Martyn Lloyd Jones, John Newton, and John Owen in their approaches to controversy so that we might be better equipped as servants of the Word: ministers who diligently cultivate the essential qualities of theological competence and pastoral tenderness—each without any expense to the other.